Christmas has come and gone and, if you’re a suffering Brit like me, you’ll have been patiently awaiting Summer for what feels like an eternity. Considering Summer usually only lasts for a few short weeks, it’s important to be prepared as soon as those days hit in order to capitalize on the small amount of sun we actually get. One of the best Spring and Summer pastimes is enjoying the weather in your own garden; sometimes though, the Winter months take such a huge toll on your back yard that repairing the damage can be time consuming and costly. 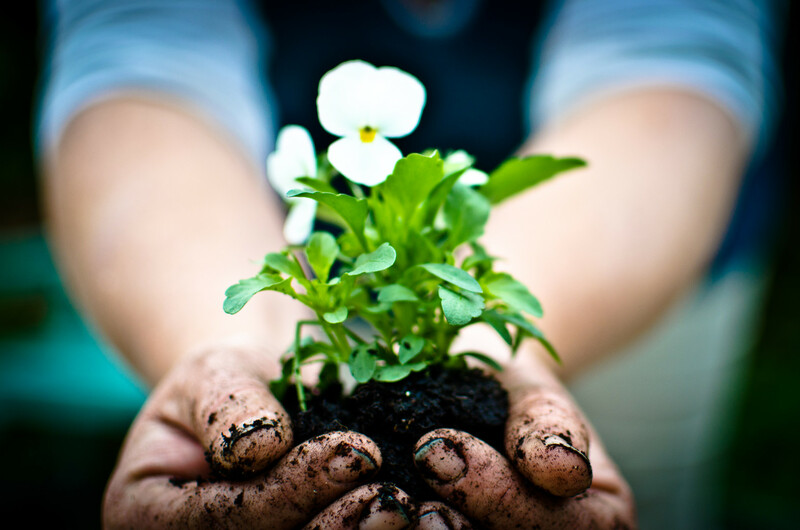 If you want to find more eco-friendly ways to look after your garden and spend less time and money treating it, here are few tips to help you do just that. Do you want to get rid of rust on your barbecue tools or patio furniture? Believe it or not, one of the cheapest ways to do this is sitting right in your kitchen. Cut a raw potato or cucumber in half and scrub the rusted areas with the flat, moist surface of your chosen vegetable. Trust us, it works wonders, and there’s absolutely no need to spend money on kitchen sprays and scrubbing tools. Al fresco dining is great and atmospheric, but can be messy; don’t worry if you overdid it with the candles at last night’s dinner party, you can remove candle wax easily. Start by using a butter knife to scrape off as much of the wax as you can from affected rug or tablecloth, and then place a paper towel over the affected area. Put iron on low heat over the paper. This will warm up the wax enough for the paper towel to absorb it. If you want to clean glass table tops or windows, you don’t need harmful chemicals to do it. Make your own glass-washing fluid with a mix of water and white vinegar in a spray bottle. If you’ve used commercial products on your glass surfaces before, you may need to add a few drops of dish water to the solution. This will remove the waxy residue left by your old conventional glass cleaners. If you want to brighten up an unsightly concrete (or just plain dull) wall, then it’s worth considering climbing plants and trellis’ for a quick and simple uplift. This year willow expandable trellis is making a comeback but if you check out trellis at Jewson Tools or any other reputable gardening supplier you’ll uncover a range of decorative trellis and garden features that will fit your style. For advice on planting climbers, the BBC Gardening Guide is a great source for information and inspiration. Nothing is less inviting than an unkempt driveway and if you’re looking to sell a property this Spring, you’ll really need to up your curb appeal game. If weeds are growing between the cracks in the paving stones on your patio, or on your concrete driveway – salt is all you need! Just sprinkling a bit in the affected areas should do the trick. Please note: Salt can build up in soil and cause issues for plants you want to keep. So, if there’s a flowerbed next to your patio, be careful not to wash the salt into the soil. When working on DIY projects in your backyard, use a clothespin (rather than your fingers) to keep nails in place as you hammer it in. It may take a little extra time, but will absolutely save in money in the swear jar!